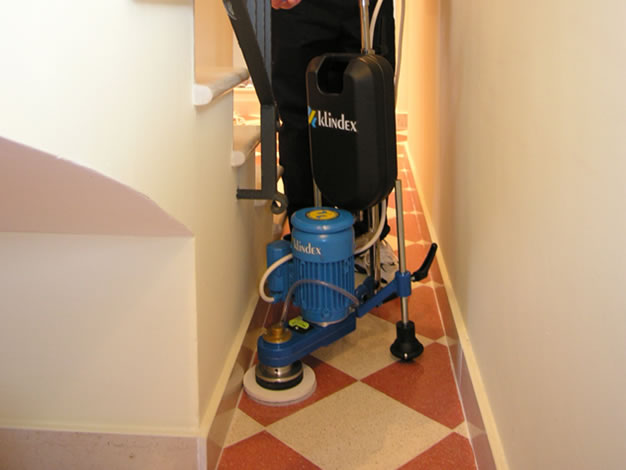 The Minielle is a great machine for smaller jobs in homes, offices and rooms. 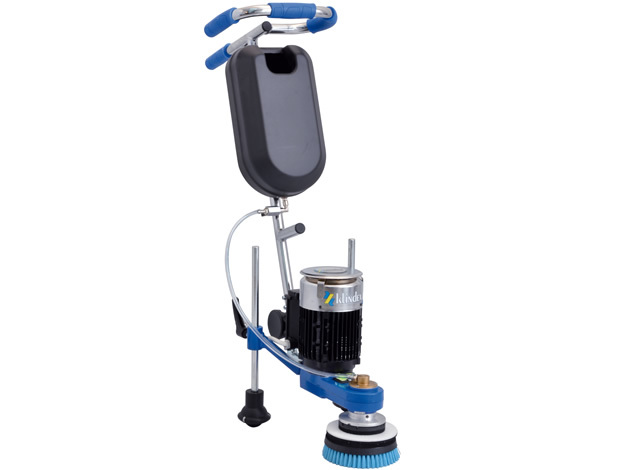 It is a grinder and polisher with a multiple types of tools for many different needs. All metal construction and adjustable to any angle or stair size. 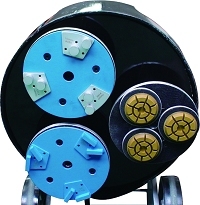 Available in 110 volt single phase. The size and weight allow for easy loading and unloading at the jobsite and to carry up stairs or to a landing. 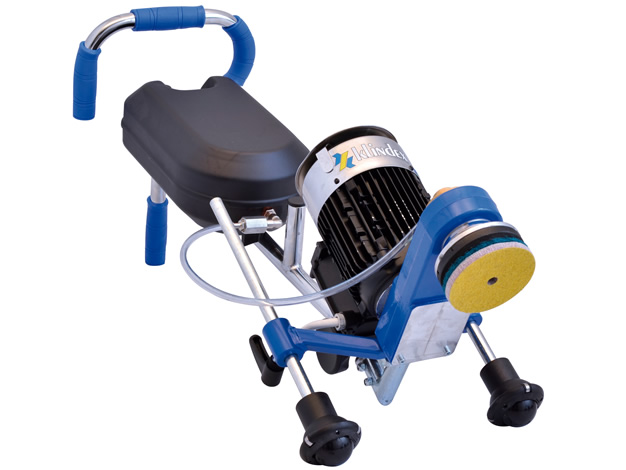 The Minielle is very versatile, and can be used for Grinding, Buffing and polishing. The machine has a very powerful motor with forward and reverse, the head runs at 900 RPM this also means that this machine is vastly more versatile. 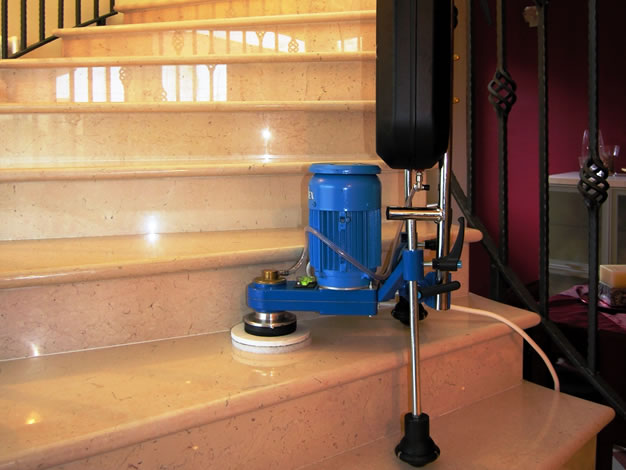 Minielle is the ideal solution for grinding and polishing for stairs, small bathrooms, edges, corners and any narrow area. And the work is done standing up. This Machine is available for rent. Snap in place Instant-Change Tool System. The Minielle comes with the Snap on Instant-change tool mounting system. All you will need to do is purchase is the diamond tools you will need for your particular project. The system can mount scrapper tools ,regular metal trapezoid tools, and velcro mount tools. The Minielle is easy to use in tight places and the handle ajusts to get out of you way or to make for more comfortable use. The snap on brushes allow for excellent tile cleaning. The Minielle can be used as an Edger with all the features of much larger machine, such as forward and reverse directions on the grinding head. 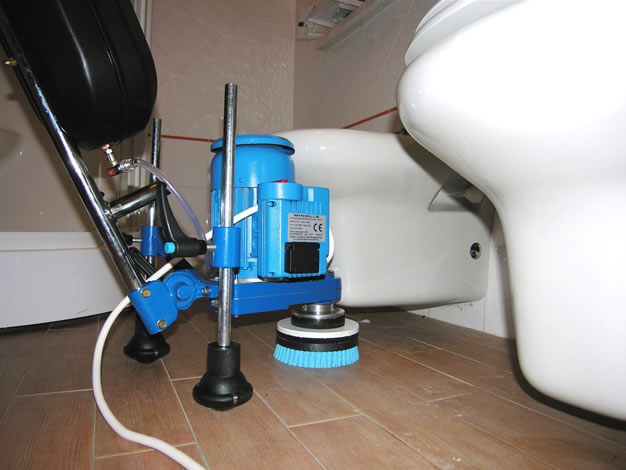 This allows you to run directional tools such as scrapper tools to remove epoxy and glue. Most diamond tools do not have a direction so you can run those either way. The machine will fit into places you can't get to with other machines. You can instantly adjust the height of the wheels to the job, or to tip the machine to one side at any angle. This is the easiest way to do stairs. If you can fit the Minielle will fit into any tight space. 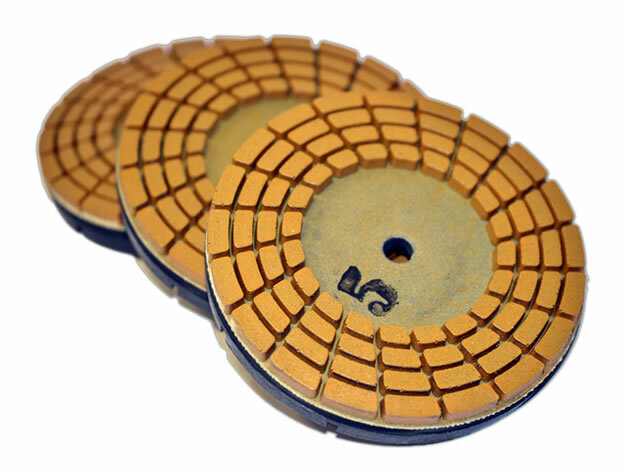 To grind floors effectively it is necessary to use the proper tools to grind down through the cap and leave a substrate that is ready to seal or polish to a high shine. Click on the picture to see the diamond tooling.